Quality is defined as a “measure of excellence” or a “state of being free from defects, deficiencies and significant variations”. It is brought about by a strict and consistent commitment to certain standards that achieve uniformity of a product or process in order to satisfy customer or user requirements. Being in a car accident is a traumatic experience. The last thing you need to worry about is that your vehicle may not be repaired correctly. Car Craft is dedicated to ensuring that all vehicles at member repair facilities are repaired using only genuine Original Equipment Manufacturer (OEM) parts * are subject to the direction of the client insurance company and to manufacturers’ specifications. We are also dedicated to ensuring that technicians employed at Car Craft shops are trained to the highest industry standards, all Car Craft Accident Repair Centres actively participate in I-CAR industry training. The use of OEM parts* is important because they have been designed and engineered to provide the highest level of quality. They are also designed to work harmoniously together in complex motor vehicle systems such as “crash energy dispersal” systems which disperse the energy created as a result of the crash away from the point of impact, then systematically shuts down according to the amount of crash energy produced. Imitation and aftermarket parts may not meet the stringent testing and quality standards that OEM parts* are required to meet. One minor change can have a significant impact on how a part functions in an integrated system. You need to be confident that the technicians charged with the task of repairing your vehicle are fully trained and competent in your vehicles operating system to carry out the repairs. (Click here to see what difference 7/100ths of a second can make). 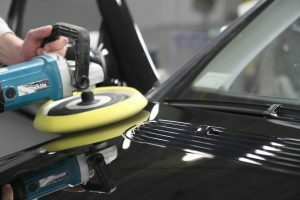 Not all body shops are created equal. At Car Craft, you can experience peace of mind knowing that your pride and joy will be repaired to manufacturers’ specifications using only genuine parts *..